Do we have time for this? Will supervisors be able to break away for training? Can we afford this? How much should we budget? What should be included in the training? How can we make sure that the training results in positive change? How will I know if a facilitator or program is any good? How much work will have to do internally to support this? What can we do to make sure this is aligned with other training and with our culture? Excellent questions! We’ll try to tackle all of them here. When you evaluate your options, use this as a resource to help make your selection a good one. What Should Be Included in a Supervisor Training Program? Fit/POV Doesn’t align with other training, models, corporate culture or philosophy Trainer aims for alignment and helps participants find parallels in models & training Is this a good match for supervisors’ education level? Spoken language? Curriculum Off-the-shelf course that does not include pre-work or post-work for “stickiness” Trainer surveys participants and gives senior managers tools & tips for reinforcement Do the participants buy into this training and subsequent changes? Delivery Mode Delivery is pedagogical (instructor-focused) vs focus on participant needs/input Variety of formats available to fit participant needs; nimble facilitator adapts Do we have efficiency above effectiveness? Is the group size conducive to learning? Content Functional skills of management covered but not leadership of people Includes “soft skills” and ways to improve employee engagement Are the models and tools too complex to be remembered and used in practice? all learner types (written, aural, verbal, interactive, visual…) Have best practices for instructional design and adult learning been used? Facilitator Rigid, unable to understand “real world” challenges or deviate from material Welcomes questions and critical reflection; listens well; makes training “real” Do we really need someone with industry expertise or do we need a capable facilitator? Reinforcement No system for post-training reinforcement is included; training is stand-alone event Job aids, tools included. 1:1 coaching available. Overview and tools for senior managers Are senior managers willing/ able to reinforce what is taught to supervisors? built into metrics and training is tailored to deliver on those What are our baseline metrics, e.g. engagement survey or retention rate? 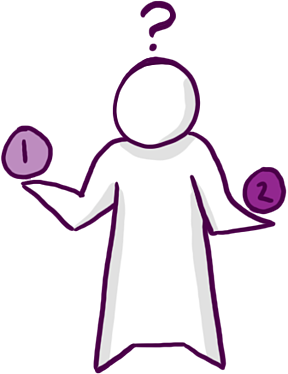 There is a balancing act to program design and facilitation, so you’ll want to work with a company that is experienced and has a proven track record in instructional design, curriculum planning, adult learning, facilitation skills (not the same as presentation skills! ), and various modes of delivery. The balance comes in offering a solid, proven program AND being able to adapt that program through examples and terminology used so it fits your organization. Off-the-shelf programs are often too rigid and force participants to do the work of figuring out how to apply what’s being taught. Fully customized programs are pricey and untested. Additionally, there’s more than the training workshop or content to consider. You’re looking for knowledge transfer that sticks and results in positive behavior change that drives business results. That means you’ll need a wraparound approach that involves participants in shaping the program before it’s delivered. Here at PFPS, we survey participants and use their responses to emphasize areas they’ve identified and to get real examples we can incorporate in the training. Wraparound also means there are specific, preplanned ways to reinforce the training after it’s been delivered plus ways to measure its effectiveness. When needed, 1-to-1 coaching will accelerate change and help individuals work on specific development areas. Don’t limit yourself to trainers inside your own industry. Knowing the business too well often leads to “rabbit holes” and tangents. If the trainer’s industry experience is the main attraction, be sure to check for critical competencies as a trainer, too. A person who is highly qualified as a trainer can effectively deliver supervisory skills training in any industry and company. How Much Does a Supervisor Training Program Cost? Is It Worth It? The average annual training expenditure is $1273 per employee, according to the Association for Talent Development’s State of the Industry report. This is, however, the average for all training. Supervisor training may be on the higher end. And, of course, that average includes companies that invested no money in training. Open enrollment for two-and three-day courses offered by big-name training companies have listed prices from $995 to $2,445 (plus travel) per participant. These courses cover essential supervisory skills and offer their own models and tools. The content is not tailored to any one industry or company as participants in open enrollment courses come from many different organizations. A word of caution: although these programs are very well-designed and facilitated, it will be challenging for an individual to apply what’s learned in an organization that’s unfamiliar with the tools and models provided. An on-site course delivered for your group by an outside facilitator to typically ranges in price from $5000-$25,000 for a group of 12-30. The broad range can be attributed to the number of solopreneurs who offer this type of training. Don’t let price be your primary determinant. Take it into account with the other factors listed in the table above. Other delivery modes will be priced differently. Online training is usually on a per-participant basis. Some are designed for individuals to access on their own and may have a lower price point. Some are designed for corporate licensing by number of seats and will require minimum purchases. You can also hire resources to build your own e-learning course that will be suitable for your internal LMS or platform. Customized work will cost more but give you certainty about alignment and enable you to brand the program as you like. Of course, over-relying on technology alone may impair learning and on-the-job application. Usually, a blended approach is preferred so learners also participate in 1-to-coaching or instructor-led training for feedback and demonstration of skills. There’s a reason people fear that training won’t work and won’t be worth the investment made. Sadly, research suggests that training often fails to deliver an adequate return on investment. In the U.S., $90.6 billion was spent on training in 2017 (ATD State of the Industry Report). However, within one year following training, 90% of what was taught has been forgotten and is not being used. 70% or more is lost within the first week after training. This is due to a lack of reinforcement, not due to the quality of the training. Preparing the organization to reinforce supervisor training is a critical step in the process. With reinforcement, it’s a different story altogether. The design and delivery of the training will also make a difference, but reinforcement is the key to long-term retention and application. A strong program will include training reinforcement tools, activities and prompts. The training itself will also be designed with adult learners in mind, using proven techniques that boost retention of the information. Behavior changes and positive business results are consistently linked to post-training reinforcement vs. training alone. What kind of ROI is possible when you reinforce the training? One study by Accenture reported that for every dollar spent on training, companies received $4.53 in return – that’s a 353% ROI. It results from improved productivity as trained supervisors do a better job in their work, including motivating and giving feedback to employees. In short, manager training boosts employee engagement and increases in employee engagement unleash untapped potential. You can read more about this, including lots of data, in this article. As you consider the cost of training, be sure to also take a look at the cost of not training your supervisors. That cost will include losing good employees, reduced productivity and customer satisfaction, and the resulting impacts on revenue and profit. Supervisors who are not well-trained have employees who are not engaged and perform at reduced levels of effectiveness. What Role Should L&D or In-House Trainers Play in Supervisor Training? Select the best-fit trainer to ensure a quality program. Communicate desired outcomes to the trainer. Pre-determine ways to measure the effectiveness of this training. Coordinate the selection of participants and logistics for location and materials, etc. Work with the trainer to ensure alignment of content and messaging. Prepare participants. Send calendar invitations, administer pre-work, etc. Attend training. When you know the program, you’ll be better equipped to reinforce it. Lead the reinforcement efforts after the training has been delivered. Plan ahead for this! When the training will be delivered by your in-house team, the seven items above still apply. Additionally, your trainers will need to attend train-the-trainer workshops to get certified in proven, established programs. You can also opt to start from scratch, designing and delivering your own program. But why? Basic supervisory skills are transferrable in every supervisory role. There are plenty of great programs to choose from. You’ll spend less to bring in a program than you’ll spend on designing one. ATD reports that it takes 28-143 hours to develop 1 hour of quality training. If you have two full days of training (as most supervisory skills training do), that’s a minimum of 280 hours for the design alone – 7 weeks at salary of $52,000/year means you’ll spend at least $7,000 to design traditional training (that doesn’t include tools, reinforcement activities, coordination, delivery, etc.!). E-learning and blended approaches take more time. A complex program takes 130 hours for every 1 hour of training… you get the picture. Ideally, L&D and internal trainers work closely with the training vendor to make sure the program delivers on desired outcomes. This is how to make supervisor training an investment with good ROI vs. an expense that is wasted.